The Hague, 8 July 2011 – It is with great condemnation and disappointment that UNPO has learnt of the arbitrary arrest of the Swedish journalists Johan Persson and Martin Schibbye. Their arrest represents continued efforts by the Ethiopian government to suppress the freedom of the press, the freedom of expression, and the freedom of humanity. Ethiopia’s deteriorating reputation for upholding human rights reflects an increasingly constrained political environment in which government accountability and personal freedom have been replaced by institutionalized harassment and ethnic discrimination. The continued presence of what is a one-party state has shown itself to be the one obstacle to free and fair elections and a free media. The disappearance of Johan Persson and Martin Schibbye represents only the latest example of systematic attempts to polarize Ethiopian society and deter any inquiry into the dire humanitarian situation facing the Ogaden. It does however reveal the increasingly hostile environment for both internal and external rights advocates, aid workers and journalists. 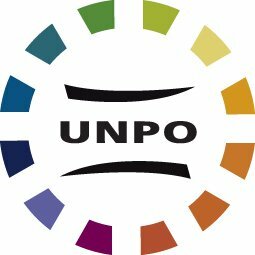 The UNPO unilaterally condemns the policies of intimidation, harassment and expulsions pursued by the government of Prime Minister Meles Zenawi and calls for the immediate and unconditional release of both Johan Persson and Martin Schibbye.